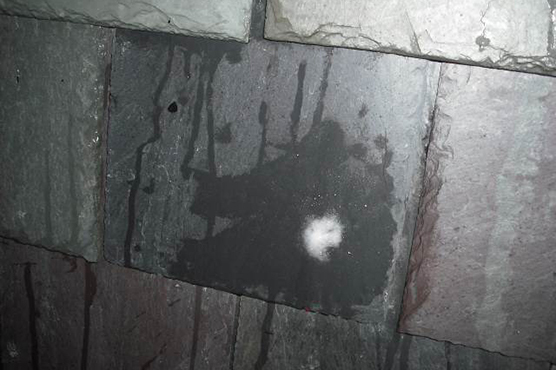 Under the guidance of the National Slate Association, laboratory testing was recently conducted to confirm the ability of natural roofing slate to withstand damage from hailstone impact. 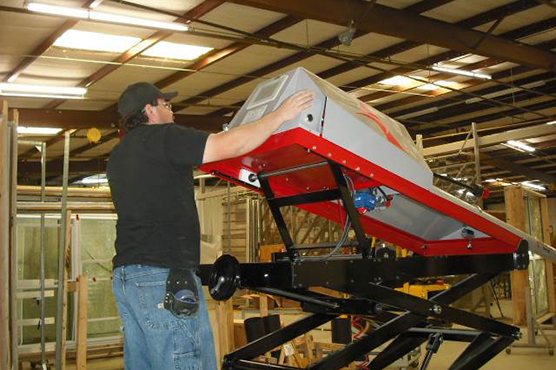 The testing was conducted on North American produced S-1 rated natural roofing slate by Architectural Testing of Southlake, Texas, in accordance with Factory Mutual FM 4473, Specification Test Standard for Impact Resistance Testing of Rigid Materials by Impacting with Freezer Ice Balls. 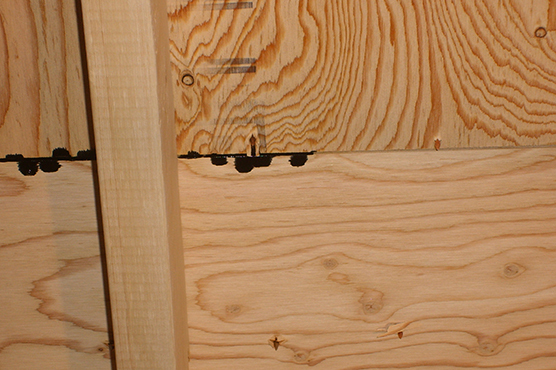 Slate at 3/8” and 1/4” thickness was tested. 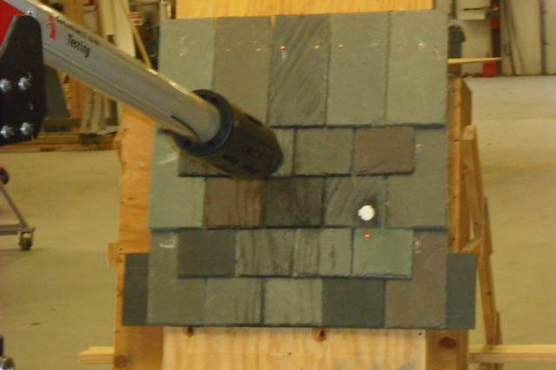 The slate shingles must survive two direct hits at the same target point, by ice balls fired from a compressed air launcher, at two different target locations on the slate. 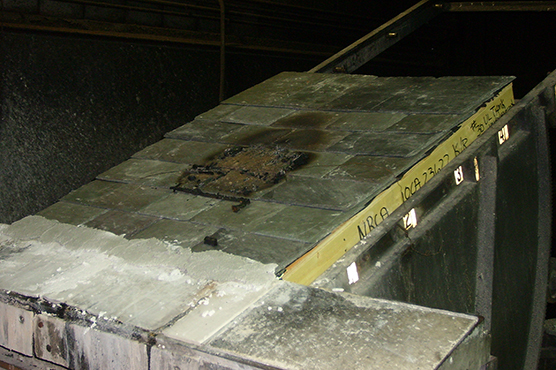 The 3/8” thick slate met Class 4 requirements, surviving the impact of 2” ice balls traveling at 76 MPH. 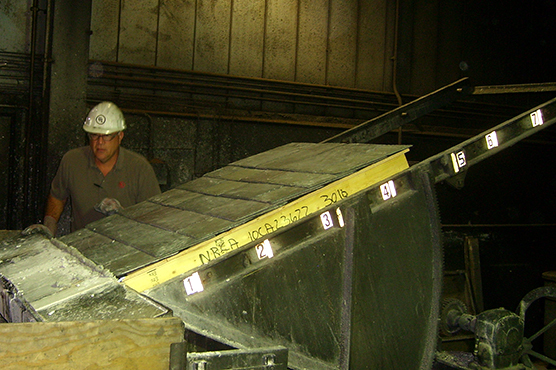 The 1/4” thick slate met Class 3 requirements, surviving the impact of 1 3/4″ ice balls traveling at 69 MPH. For questions related to these test reports, please contact the National Slate Association toll free at 866-256-2111 or email info@slateassociation.org. 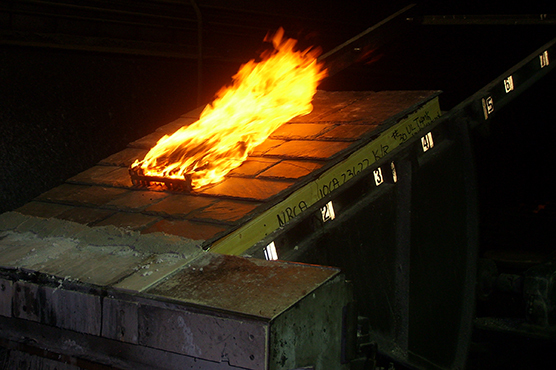 While it is hoped the favorable test results can be used to substantiate the fire resistance of similarly constructed slate roof assemblies, NSA and NRCA will continue to work together to exempt slate roof coverings from testing to determine their fire classification in future editions of the IBC. 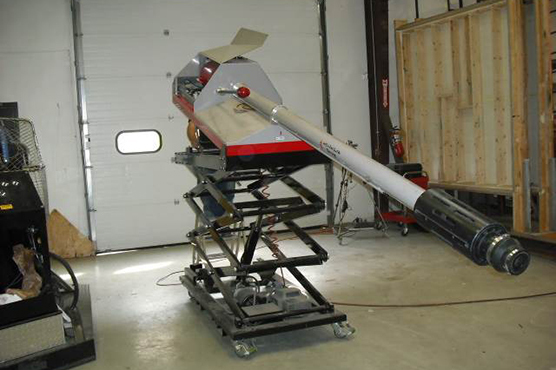 These photos are posted with permission from Mark_S_Graham, see additional photos on Flickr.